Ah, summer. We are in the midst of a gorgeous summer here in Seattle. Sometimes it arrives kicking and screaming-but when it does get here, it is glorious. Now we get to enjoy our two months of nice weather before hunkering back down into the gloom. But let’s not think about that right now. 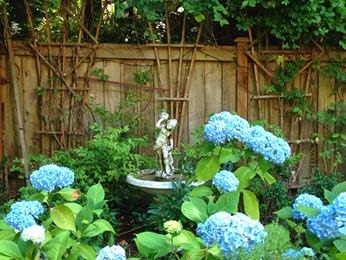 Let’s talk about fun and (mostly) cheap things you can do to enjoy what Seattle and its environs have to offer this summer. And if you don't live near Seattle, hopefully you will come out to visit or some of these ideas will spark your enthusiasm for your own part of the world. My daughter and her husband are coming to visit this month, so I am thinking about all of the fun things we can do together. All of these activities have been personally tested by yours truly, so I can attest to the fun you will have! 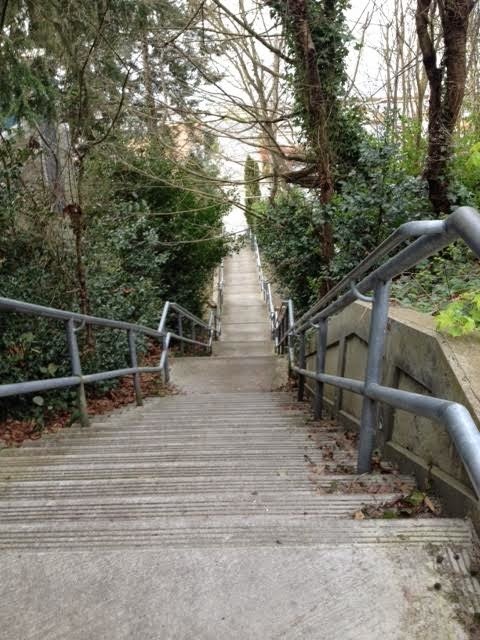 I adore outdoor steps, especially the hidden little gems that populate Seattle (San Francisco has them, too). 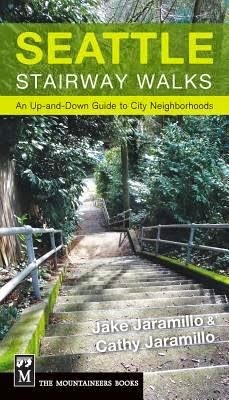 If you have been reading my blog, you know that Hubby and I climbed and descended all of the steps in "Seattle Stair Walks" by Jake and Cathy Jaramillo. It took us a year to do all 23 walks, but it not only helped us learn more about Seattle, it was fun and healthy alone time for us. Well, the Happy Hour after was probably not so healthy, but we had to have some kind of reward for all of those stairs. Eat Your Way Through Pike Place Market. Granted you can do this any time of the year, but on a sunny day it’s just that much more fun. Get there early to watch the Market come alive. Grab an espresso at the original Starbucks (before it is full of tourists) and a piroshky from the Piroshky bakery a couple of doors down. For lunch, restaurants abound, and later have a martini on the deck at the Pink Door and take in the view and the sun. There are a wealth of options for dinner, but a personal favorite is the Steelhead Diner (can’t resist the poutine). Walk past the gum wall to the Alibi Room for a nightcap and some people watching. If movie people are in town you might catch a famous face. In between eating at the Market, you can watch flying fish, shop for produce and crafts, listen to street musicians, and take a picture with Rachel the Pig. Take the Clipper to Victoria. “More British than Britain,” Victoria is one of my most special places. I have my little rituals – mussels at Santiago’s Cafe, buy a supply of tea at Murchies, head over to Munro’s Books (one of the last great independent book stores) to buy an autobiography of some obscure British television actor who only I have heard of published only in the UK, take the “putt putt boat” across the Inner Harbour (note my British spelling) to Barb’s for the best fish & chips, tea at the James Bay Tea Room (locals laugh at you if you have tea at the Empress, but you have to do it at least once), but definitely drinks at the Bengal Lounge in the Empress, take in the lights that outline Parliament at night and walk, walk, walk. You don’t even have to spend the night if you don’t want to. 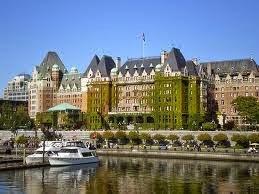 You can get on the Clipper at 8am in Seattle and be in Victoria by 10:30 in the morning and have the whole day to enjoy Victoria and then go home in the evening. A little bit of England just a few hours away. Water Taxi to West Seattle. 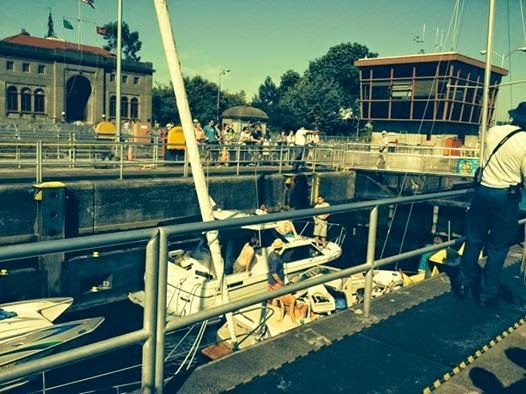 Ballard Locks and the Fish Ladder. I will never forget the first time I visited the locks. My husband, my children and I were visiting Seattle for the first time and went to the locks to see the salmon make their way up the fish ladder. There we were, noses pressed to the glass awaiting the leaping, flying salmon as they made their way up the ladder. We waited and waited and waited. Nothing. Finally, along came one lone little minnow who reminded me of Don Knotts in "The Incredible Mr. 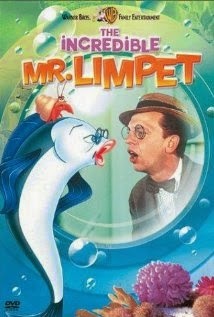 Limpet." On a recent visit, however, Hubby and I were rewarded with a salmon jumping so high it almost hit Hubby in the head. 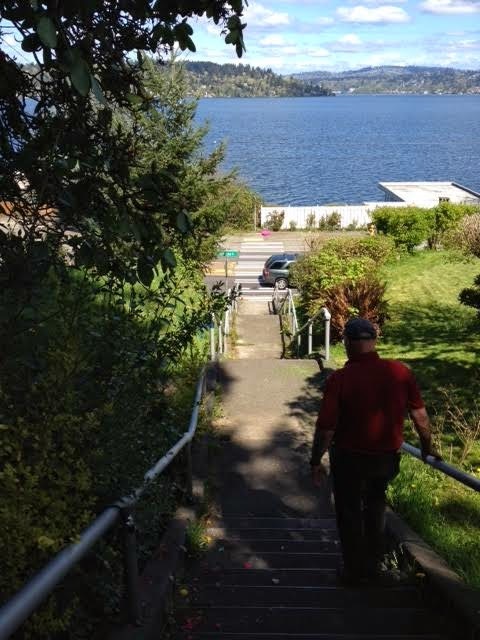 However, salmon or no salmon, the locks are situated in a beautiful park and as you walk across the locks, you can watch a lock fill up, chat with the boat people as they wait and then make your way over to the Magnolia side for a pleasant walk around the neighborhood. 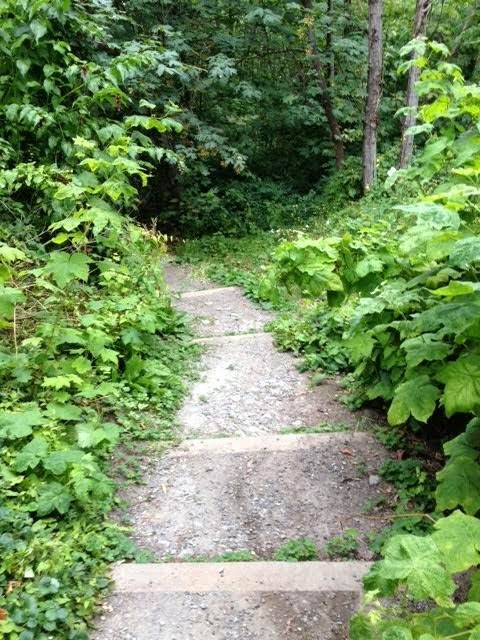 Take your dog to an off-leash dog park. Or if you don’t have a dog, go anyway. It’s a hoot. Or should I say a woof! You can watch a Yorkiepoo try to provoke a Great Dane, a white fluffy Bichon Frise roll around in the dirt and German Shepherds chasing Frisbees into the water and then shaking the water off onto their owners. A personal favorite is the scene around the communal drinking bowl. Have you ever noticed that when a dog looks up after drinking out of a bowl, water continues to ooze out of both sides of its mouth. They are so ridiculously unselfconscious! (Particularly noticeable with a collie, and she knows who she is). And along with the canine shenanigans, dog parks are often in prime locations. 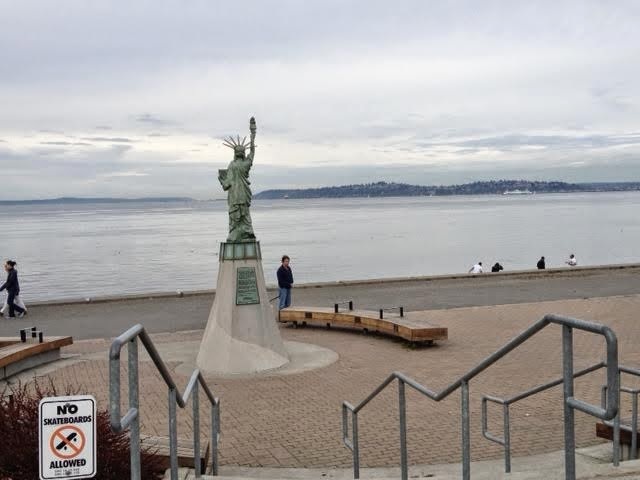 Edmonds has one right on the Sound; and the one at Magnuson Park in Seattle is ginormous. Your little Fido could think he was a free dog there. Lovely drive into the foothills. 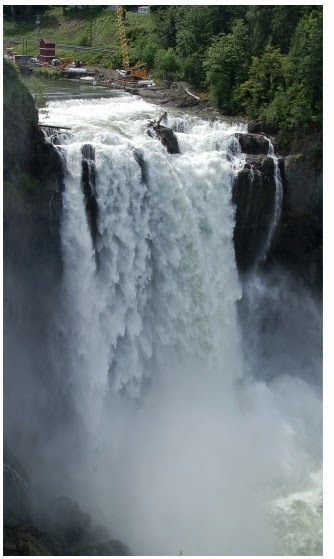 For those of you who are of a certain age, it is difficult to not think of the TV show “Twin Peaks” when standing near the Salish Lodge overlooking the Falls. As the mist rises, so do images of the dancing dwarf and FBI Special Agent Cooper drinking his cup of “damn fine coffee.” If you snag a seat by a window in the restaurant, you will have a wonderful view while dining. 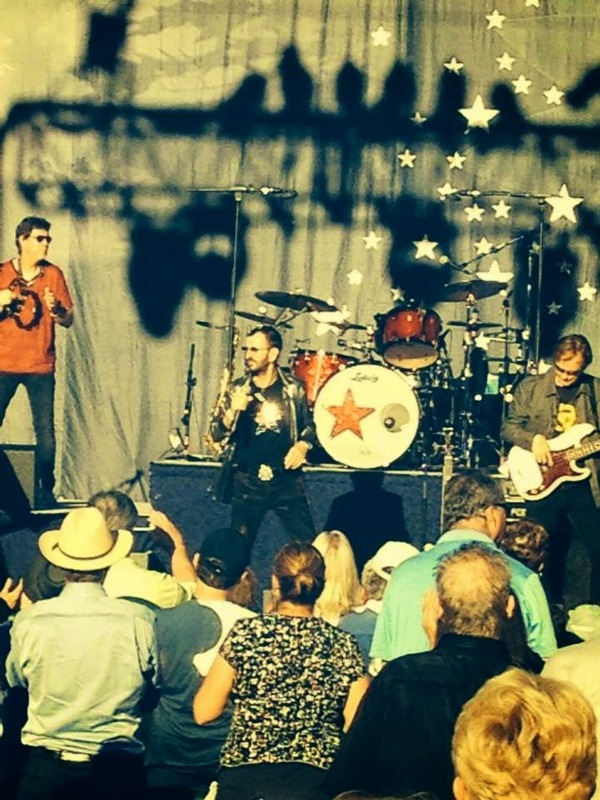 Wine Tasting and Concerts in Woodinville. When I moved here eight years ago, there was Chateau Ste.Michelle and the Columbia Winery. And the tastes were free. Now there are something like 300 wineries populating the Woodinville area and tastings are anything but free unless you are a member. But on a lovely day, there is nothing finer than a stroll on the grounds of the Chateau, discovering a new wine tasting room or a new wine. Just be wary of “palate fatigue,” if you know what I mean. The Chateau also hosts music concerts in its outdoor venue, a gorgeous setting to listen to music while drinking that wonderful wine. The last time my daughter and her husband visited we rented kayaks at Aqua Verde and ventured out into "The Cut" toward Lake Washington. Not long into the trip, Hubby lost control of the foot rudder and we had to manage on our own. We were sharing the waters with much bigger boats. I think they could hear me yelling at Hubby all the way to Bellevue. My first and last kayaking adventure. But I know you all are much more brave than I. A mere 20 minute ferry ride and you are in a rural paradise (though in the summer, lines to get ON the ferry can be long. Plan accordingly). 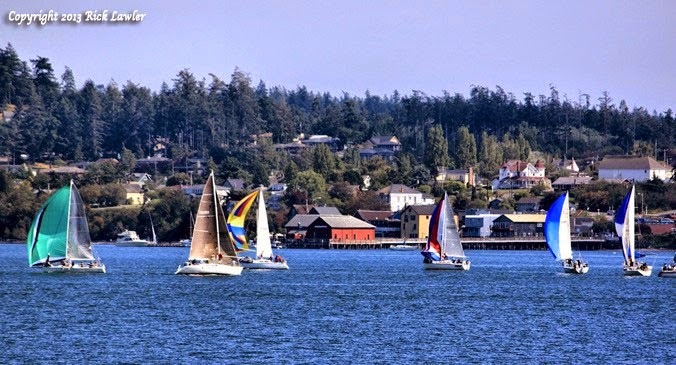 Miles of beaches, wineries, good food and lovely, historic towns like Langley and Coupeville. You know those Penn Cove mussels you love you much? They are from here. No Matter Where You Live, Visit Your Library. Make it a destination. Your local public library has all kinds of summer activities. Take your child or grandchild and have some fun summer adventures sharing the joy of reading. What summer fun are you looking forward to? This Sci-Fi thriller explores what could happen if humans were able to use 100% of their brains while juxtaposing that with drug-smuggling Taiwanese gangsters. Lucy (Scarlett Johansson), currently living in Taiwan, finds herself involuntarily involved in a drug smuggling operation. Her boyfriend of about a minute, Richard, forces her to deliver a briefcase to a Mr. Jang by handcuffing her to the briefcase. Jang and his gang of thugs then turn her into a drug mule by planting a bag of CPH4 into her and three other men's stomachs (CPH4 will be explained in the film, so I don't need to do it here). 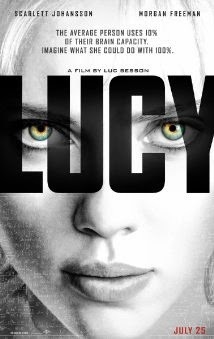 When Lucy's bag of drugs is dislodged by an over amorous and brutal goon, the drug starts to leak into her system and takes her brain from the usual 10% usage we humans supposedly and arguably only use to an ever-increasing amount as the film progresses and eventually to 100%, turning her into a superhuman, capable of unimagined strength and knowledge. With that as her weapon, she goes in search of Mr. Jang to seek revenge. But when she realizes the drug will also kill her, she seeks out the preeminent mind on brain function, Dr. Samuel Norman, played by Morgan Freeman (what movie ISN'T he in? 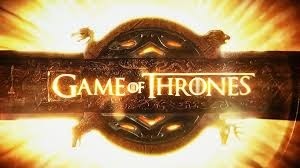 ), to help her make sense of her gift and whose lecture about the human brain parlays back and forth from the action at the beginning of the film. Writer/Director Luc Besson ("La Femme Nikita," "The Fifth Element") has combined a bit of Quentin Tarantino (I had my hands over my eyes for the first half hour) and a bit of "2001: A Space Odyssey" to create a tense thriller with an examination of what constitutes existence and humanity. He has created another strong female like Nikita and Scarlett does not disappoint. She starts out as a sort of air-head slutty girl and turns into a mental superhero. 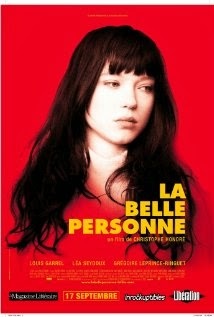 The film is all about her. It is a tour de force. True to his "Transporter" roots, Besson also treats us to a fantastic car chase through the streets of Paris that can only be imagined as CGI or some other special effects - if not, how could Paris officials agree to a car chase like that? The sequence through the pedestrian arcade was amazing - I think I walked through that one - and when Lucy was driving against traffic, it was spectacular. My one irritation was the montages of animals mimicking the action and during Freeman's lecture. I'm not a fan of that stuff and I don't need to be bonked on the head to know that our Lucy is a reference to the "famous Lucy fossil." Rosy the Reviewer says...whether or not you think this is believable, you will be gripping the arms of your chair while you try to decide. Thrilling. See it in Imax. Sixteen-year old Junie changes high schools mid-year, following the death of her mother, and goes to live with her cousin Mathias, who introduces her to his friends. All the boys want to date Junie, especially Otto, but her real attraction is to the lothario Italian teacher, Nemours. This French film, adapted from the classic French novel “La Princesse de Clèves,” by Madame de Lafayette (1678 ) and directed by Christophe Honore explores the illusion of love and whether or not enduring love is possible. When we first meet Nemours, who looks young enough to be one of the students, he is having an affair with another teacher and a student. Junie's cousin, Matthias is having a secret affair with Martin and they fear exposure from a love letter that fell out of Martin's pocket. Otto, another student, loves Junie and when he is rejected by her, jumps off the third floor balcony of the school, all the while lip-synching the lyrics to a French pop tune. Strange. When Nemours becomes love struck with Junie, he breaks off his other affairs to concentrate on her, but Junie fears that love won't last and gets the hell out of Dodge. If you are a fan of French films, then you get how they roll - all very New Wavy, not a lot happens, but it's all very deep and moody with French pop tunes playing in the background while people look off into the distance. 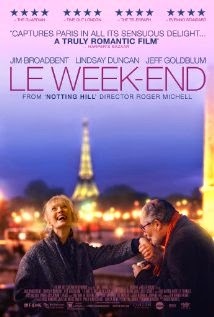 A British couple celebrating their 30th wedding anniversary return to Paris to try to rejuvenate their failing marriage. Jim Broadbent and Lindsay Duncan play Nick and Meg, a married couple who you can tell right away have "issues." They have fallen into a pattern of insult, boredom and taking each other for granted. This weekend is meant to be a time to find each other again. It begins with Meg objecting to their room because the bathroom is too beige. So Meg impulsively changes hotels to one very much more upscale than the original and when Nick tells Meg he has been forced to retire from his professorship for saying something inappropriate to a black student, it becomes apparent that they can't afford this hotel. The weekend continues with their running out of a restaurant without paying and other shenanigans, all of the while Meg insulting Nick and Nick trying to get Meg to love him. Meg seems to have great contempt for Nick. These are not pleasant people. Both Nick and Meg have had teaching careers and they have two sons. But when Nick runs into an old school chum, Morgan, (Jeff Goldblum, who overdoes it a bit here), who appears to be everything Nick is not - successful, optimistic, and he has a young, pregnant wife - Nick is moved to deliver a dinnertime soliloquy about the disappointments of his life. But the film ends where it began. Nick and Meg are still together. A long marriage can be a strange dance. Hanif Kureishi ("My Beautiful Laundrette" and "Sammy and Rosie Get Laid") wrote the screenplay, and I know he's edgey, but with Roger Michell ("Notting Hill") directed so, I was expecting the charm of "Notting Hill" and instead got "Who's Afraid of Virginia Woolf." This film is a testament to what a long marriage is: tender, cruel, boring, exciting, recriminations and reconciliations, but this film is not exactly an endorsement and not exactly entertainment. Rosy the Reviewer says...Broadbent and Duncan are wonderful actors and they do a great job showing the ups and downs of a long marriage. But that doesn't mean this is a pleasant film to watch. If you are expecting a "mature" version of "Notting Hill," you will be disappointed. More on the quest for inner peace. I first heard of Michael Singer when Oprah interviewed him on her "Super Soul Sunday" show. I was so impressed I had to buy his book as I continue my own journey to enlightenment. It's not an easy concept - that your thoughts are not you. He likens the voices in your head to an unruly roommate. Would you really be friends with someone who says the crazy things your mind says? Would you listen to that person? Singer hopes to free us from those voices that cause us so much pain. Rosy the Reviewer says...Learn how to put an end to the habitual thoughts and emotions that hinder you by tapping into meditation and mindfulness to dwell in the present moment. It's only 181 pages. A small price to pay for enlightenment, wouldn't you say? UPDATE: If you have been following my blog, you know I wrote a post on my 66th birthday called "Today is the First Day of the Rest of My Life," where I talked about wanting to shake up my life a bit and instill some new habits. For July, I said I would NOT order my usual Starbucks drink, but rather anything but...try some new ones. AND I DID IT! I did not order a Tall Skinny Vanilla Latte once. I tried hazelnut, caramel and my new favorite, cinnamon dolce. Now it's on to August, month #2, where I said I would moisturize every day! I know, but this new habit thing isn't easy. Check back next month to see if I did it!